Keeping in touch with our band and orchestra families is our top priority! Please follow one of the directions below to stay up to date on concerts, call times, fundraisers and other special events! If you would like to receive email messages in addition to, or instead of texts, please see the Email Registration page. 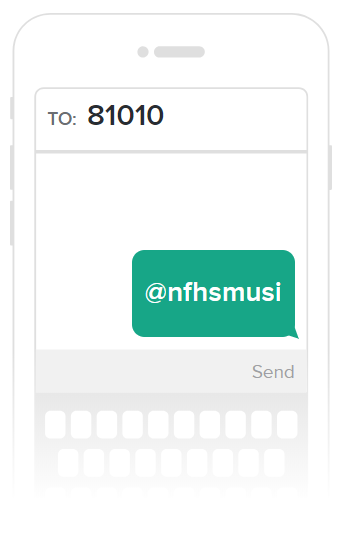 ​You will receive a confirmation text stating that you have joined Remind for NFHS Music Boosters.